From Vienna we took the boat to Bratislava, the capital of Slovakia. Having heard quite a few negative reports of the quality of Slovakian beer, I actually brought some Australian craft beer over with me! The very first beer I had in Bratislava was a Czech one; Budweiser (sometimes Budvar in Australia) Dark. The weather was drizzly and not that warm (maybe 16 degrees) and I was so pleased to be offered a dark options. For those who haven't had this, it's a relatively nice introductory dark lager that I'm always happy to drink. My first Slovak beer in Bratislava was at a wonderful Italian restaurant, Gatto Matto - make sure you go there if in Bratislava. 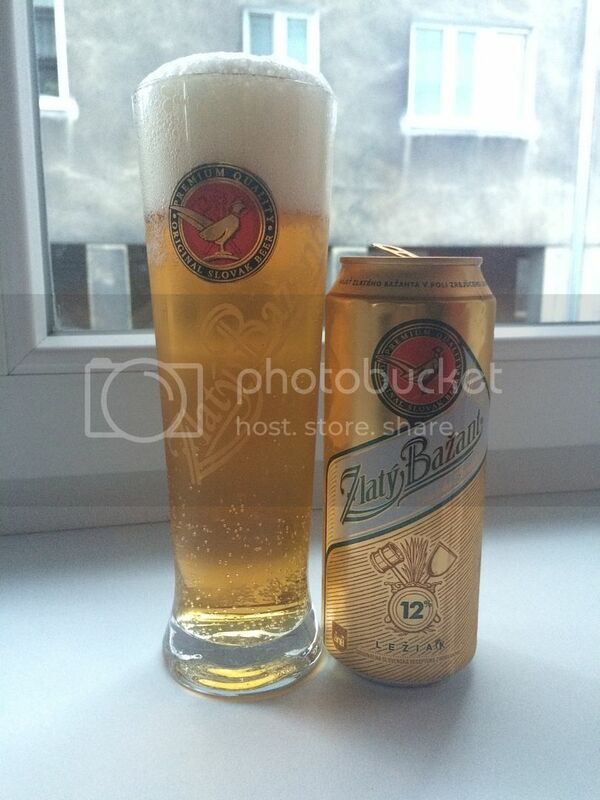 It was Zlaty Bazant, the Slovak national lager and one previously reviewed in the European Beer Challenge on Beer O'Clock Australia, see here. My views have changed on it a little over time, as my palate has matured, however I think it's still a more than serviceable lager. Pilsner Urquell is almost easier to find in Bratislava than Zlaty Bazant. This is by no means a bad thing, my trip to try Pilsner Urquell in Plzen is still one of my beer highlights, however it is disappointing for someone trying to seek out different Slovak beers on tap. 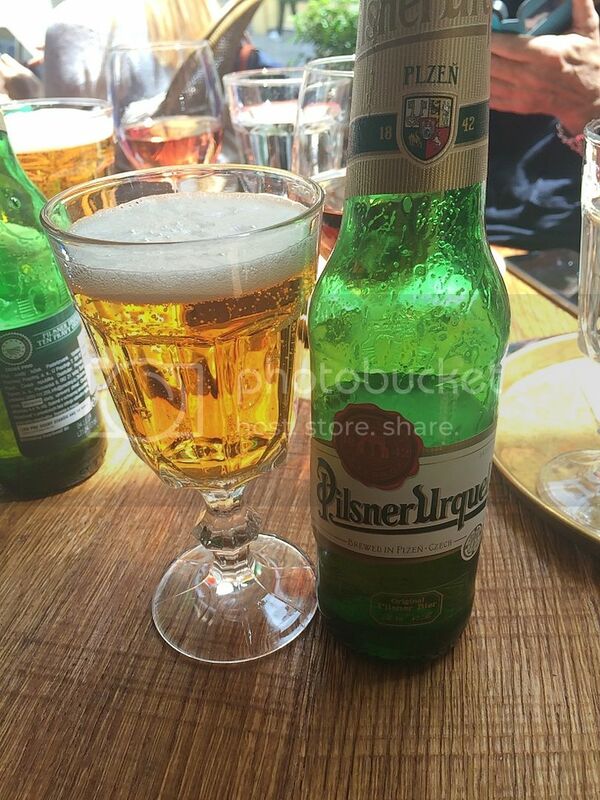 This particular Pilsner Urquell was brilliant! The Saaz hop bite was spectacular. My one and only experience with Slovakian craft beer arrived somewhat by surprise. Across the road from the St Martin Church was a sign saying "Craft Beer Bar", something I couldn't just walk past. 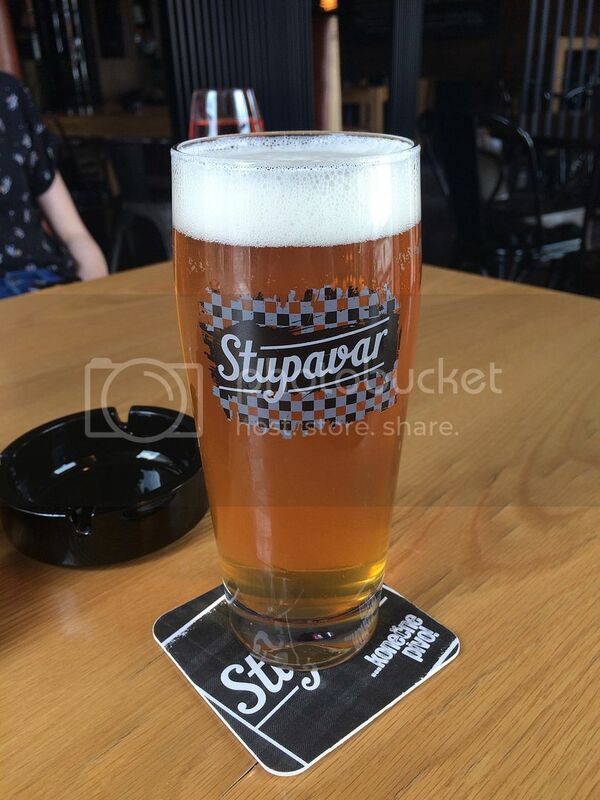 I only had 20 minutes but managed to sample the Stupavar American IPA. I'm not sure if I was just missing hops, but I thought this was excellent! It was packed full of grapefruit and had great bitterness. Variety at restaurants was at times scarce, with more Pilsner Urquell's and Zlaty Bazant's passing my lips before anything else. The one positive that this brought to my attention was that Zlaty Bazant (Golden Pheasant) is still a good beer, I guess it's mistreated at a few places. In the sun in the Old Town square it went down brilliantly, almost holding it's own alongside Pilsner Urquell. Staropramen Tmave, another Czech beer, was next sitting in the sun outside the Hrad Cerveny Kamen (Red Stone Castle). It's a lovely Czech dark, which I can't recall having had before. 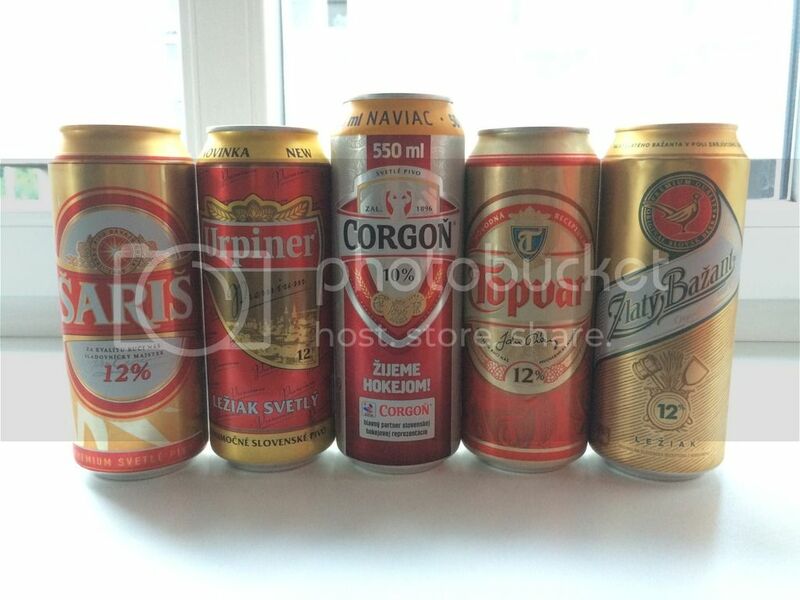 Finally I cracked into my Slovak cans at the apartment. Slovakia is one of these countries that deal in degrees Plato, read the link it's a confusing system, so you will see 10's or 12's after each beer name. Topvar 12 was first up and upon tasting it I knew why it wasn't readily available. It was a very run of the mill macro lager. I was hoping that Topvar would be their worst beer, sadly it wasn't... Urpiner Premium 12 was appallingly made! It was a really crude lager, which had raw alcohol flavours - IN A 5% LAGER! A better lager was Saris 12. It had strong malty characteristics and was quite enjoyable. My last beer in Slovakia was another Czech one, Kozel Cerny. I had this on the train to Budapest, while I tried (and failed) to write this review. It has nice sweetness and is wonderfully drinkable for the style. This one is available in Australia, I'm pretty sure even at Dan's, and is one of the beers that got me started on my craft beer journey. Pick it up if you see it, it's a lovely beer with a hearty meal. Slovakia apparently has quite a reasonable craft scene, it's hard to find though! If I'd had more time I would have checked out Le Senk more, the craft beer cafe, although the girl said that the Stupavar was the only Slovakian beer on tap at the time. The lagers are serviceable and (at times) can stand up alongside their Czech counterparts. Bratislava is not a city that I would not put at the top of your beer vacation lists. Good stuff. Although I try not to judge a book by its cover it's hard to get excited looking at those cans. They just scream mediocre!